Comments: This video is a remake of one of my older videos - remake, not remaster. 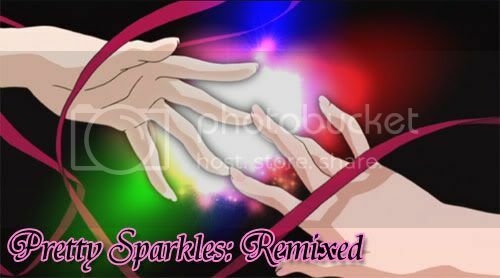 I never thought I would ever want to remake this video @_@... then I got offered a Panel at AWA and my husband gave me the idea to do a "Magical Girl Panel" and I jokingly said I would re-make Pretty Sparkles for it O.o One thing lead to another, and since I'm so unmotivated to do anything else amv-wise right now, I decided to just go for it and remake it. I added a a few series to this video, but kept some of the original stuff as well. A couple of the series I added, I didn't know about at the time, and well I wanted to include them. The Vision of Escaflowne was supposed to be in the original video, but I had more limited hard drive space back then (80gb local drive) and my friend was rushing me to finish so she could make her video on my computer and well I never got around to ripping it so I gave up on it. One of the things I like best about this video is the greatly improved video quality. I have to thank Josh for helping me with the Sailor Moon footage, as you can see the R2 is amazingly better than the R1 footage... Thanks a lot Josh! I also took out a lot of the cheesy effects (the negative overlays and flashing - wtf was I thinking?) and tried to be a little more subtle this time around, however with particle illusion access, I couldn't help but add a couple extra sparkles to a couple of the scenes.